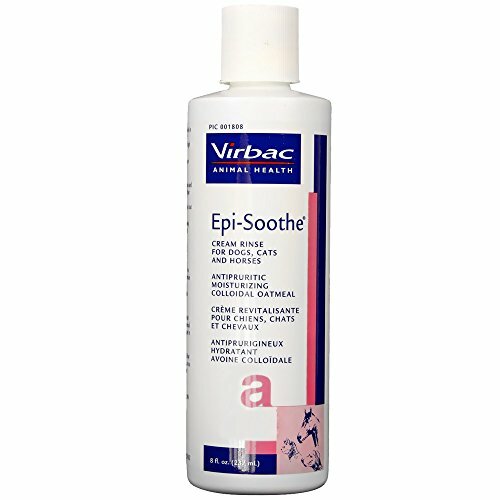 Antipruritic, moisturizing oatmeal cream rinse that soothes itching associated with dry, sensitive skin in dogs, cats, and horses. Helps restore natural skin oils and moisture, makes the hair coat more manageable, reduces static electricity, helps detangle, and adds a high sheen to the hair coat. Available in 8 oz and 16 oz sizes. This rinse is busy used after bathing your pet with Epi-Soothe shampoo.